So yay! Triple the celebration! It’s been a BIG twelve months, and I’m thrilled that readers have had such a positive response to my first book (and my others). Over 100 ratings and over 50 reviews have come in for Fast Forward on Goodreads, which you can read here. You can also see a list of my published books on Goodreads here and add them to your shelves if you wish. It all started on New Year’s Day 2012. I was wondering which story to write next as I was flipping through a magazine. The next page I turned had an article titled Fast Forward, and I knew instantly that I had to write it, right away! (I had already come up with the title so it was like fate giving me a shove in the right direction). I wrote the first chapter that day, and the character of Kelli was born. Since publication, Fast Forward became a Number 1 Bestseller in the futuristic category on iTunes, and a Top 100 Bestseller in the romantic comedy category on Amazon UK. It was also a finalist in the women’s fiction category of the Book Junkies Choice Awards, was a Harlequin Junkie Book Club pick, and I recently became a finalist for Favourite New Romance Author in the ARRA Awards. 🙂 It’s great to look back at the year gone and see how things have progressed. 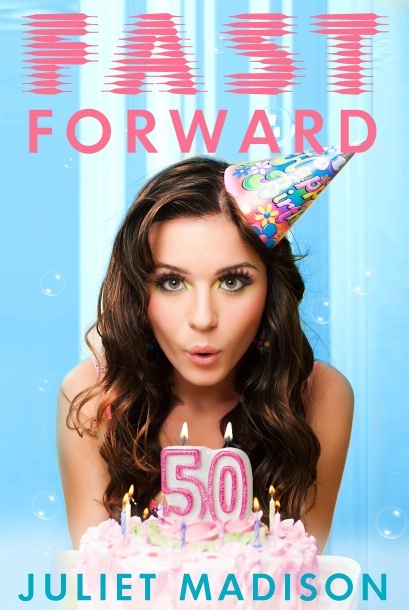 And how appropriate that the cover of FAST FORWARD comes with its own birthday cake?! Saves me having to find a nice cake picture for the blog post! Speaking of covers, I couldn’t be happier with the design the fabulous Harlequin team came up with. The image of a beautiful young woman blowing out a fifty-year-old’s birthday cake is funny and intriguing, and captures the premise of the story perfectly. …A wonderful thing during this past year was my Nanna being able to read the dedication to her at the front of the book. She passed away a few months later, so I’m glad she got to live long enough to see a book dedicated to her (and she read the book too!). 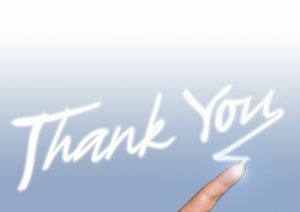 To my publisher, thank you! And to my readers, thank you! Having a book out in the world (and now five), is a dream come true. If you’ve read Fast Forward and enjoyed it, I would love love love if you’d consider telling your friends about it. Word of mouth is an author’s best friend (though some would say coffee and chocolate, but no, I tell you the truth ;)) Just one recommendation can lead to another, and another, and so on, which can help authors to be able to continue writing and publishing books. If you’d like to share, send them a link to this post, or to the book’s page on Amazon, or my publisher’s page where all the various links to different stores are. Cyber hugs to everyone who’s spread the news about Fast Forward and/or my other books, you are the angels of this industry! Wait … if I was married to William McSnelly, then that would make me … Oh God, no! Kelli McSnelly. Shoot me now. Automatically reaching for non-existent keys in my non-existent handbag, my hands then flew to my cheeks. How do I unlock the car? I might need support underwear to fit into the support underwear and that could go on and on. I’d be my own Russian doll. I grabbed the edge of the fabric again, pulling as hard as I could, but only managed to squash my face, my upturned nose now practically touching my forehead. I must have looked like one of those criminals who cover their face with stockings. I could rob a bank in this thing, only I’d need an accomplice—or a guide dog—to show me where the hell I was going and possibly an oxygen tank feeding me air through a straw. Oh my God! What was I going to do? My mind swirled in one chaotic haze, as panic rose within and the chances of getting out of this predicament alive seemed slimmer by the minute. Unlike my abdomen. Crazy images flashed through my mind of Will finding me passed out on the floor of the bedroom, the magic suit still covering my head, arms still stuck up in the air … paramedics whisking me off to hospital …. Will waiting anxiously outside the operating room and the doctor emerging with an expression of defeat, pulling the mask off his face in resignation. I’m sorry, Mr McSnelly. We did everything we could. We managed to remove some of it, but couldn’t get it all, I’m afraid. The situation was too far advanced and she couldn’t fight any longer. I’m very sorry. Will would collapse in tears and the doctor would go back to the operating room and sign my death certificate. Cause of death: Asphyxiation by SlimFX Magic Suit. A lawsuit—ha! how appropriate—would ensue and, if the suits weren’t taken off the market, they would at least come with a warning on the packet like cigarettes: Use magic suit at own risk. May cause death, deformity, or post-traumatic stress disorder. They’d have a grotesque picture of some poor woman—probably me—trapped in the suit. Others would show gangrenous arms from the circulation being cut off and faces permanently disfigured from the pressure exerted by the suit during its attempted take-off mission. I realised then that I’d have to have a closed coffin at my funeral so as to spare my family from the trauma of seeing me like that. Speaking of coffins, I’d probably need an extra-long one to accommodate my arms, permanently extended above my head from not only the stuck magic suit but also rigor mortis. FAST FORWARD: Aspiring supermodel, Kelli Crawford seems destined to marry her hotshot boyfriend, but on her twenty-fifth birthday she wakes in the future as a fifty-year-old suburban housewife married to the now middle-aged high school nerd. Escape Publishing, Amazon, Amazon UK, Amazon AUS, iTunes/iBookstore, Kobo, Google Play, B&N/Nook, JB Hi-Fi. Posted on February 1, 2014, in Announcements, Books and tagged books, chick lit, escape publishing, excerpt, fast forward, happy birthday, milestone, romagic, romagic comedy, romantic comedy. Bookmark the permalink. 4 Comments. Happy Fast Forward Birthday and release day!! How wonderful you and your gran had special times before she passed away. I’m sure she was thrilled to pieces with your success and also to see a dedication in your book. CONGRATS! Juliet – that is a wild ride and glad you’ve ridden it successfully !